It has happened to the best of us. You are leaving your garage on your way to work, and you pull out just a little too close and break your side view mirror. Some people find their car mirrors broken in parking garages or parking lots. Car side view mirrors help you drive safely, so waste no time in fixing or replacing your broken car mirror! 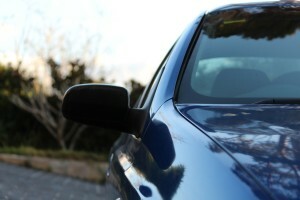 Side view mirrors on cars can be damaged or entirely knocked off of the vehicle. Some people see their car mirror has been cracked, or multiple small chips and cracks to the housing of the car mirror. If the mirror pops out of the housing, some people try to secure the mirror with crazy glue or duct tape. These attempts usually end up with a very sticky side mirrors that are not very secure! Make sure you have the proper tools for car mirror replacement. Replacing your side mirror will require some specific tools. Make sure you have everything you need before you start working on fixing your side mirror. Add to your toolbox a panel remover lever, a trim pad remover, a hooded pick, and christmas tree retainer clips. You can find aftermarket mirrors available to replace your broken mirror on your car. Look specifically for an aftermarket mirror that has a matching paint code to your vehicle. If you can’t find a replacement mirror that is painted the same color, you can do a quick DIY auto painting project or go to an auto body repair shop for expert paint matching. Mirror repair and replacement will be different depending on if you have a manual mirror or a power mirror. The process for a power mirror requires a bit more work, since you are dealing with electrical wiring. Access the power mirror by removing the mirror trim panel. You can remove the mirror trim panel by using the panel remover lever. You may have to remove the door panel in order to access the power mirror. Removing the door panel will give you further access to the wiring of the power mirror. There are three mounting screws on the interior side of the car door that can be seen after removing the mirror trim panel. Hold the new mirror up to its placement on the car’s exterior and fasten in the new mirror with the three mounting screws. If you replace a power mirror, be sure to check that the power mirror works before placing the mirror trim panel and door panel. Visit Liberty Collision in Reno for car mirror replacement services today! If you can’t seem to find the right parts or need assistance, your local auto body repair shop can help you repair or replace your car mirrors. 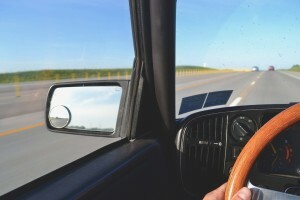 Visit an auto body repair shop to get your side view car mirrors replaced or repaired, depending on the extent of the damage. At Liberty Collision auto body repair shop in Reno, our technicians can find a new mirror for you and paint match the color using the factory paint code. Don’t spend another minute with duct tape covering your broken car mirror!